Evidence suggests Initiative being available to citizens of the ancient Greeks and Romans. Initiative and Referendum has existed in this county since 1600’s when New England citizens placed ordinances on the agenda for discussion and then a vote within town meetings. 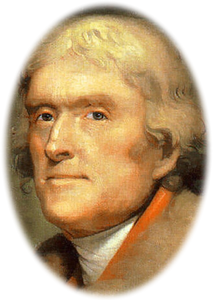 Thomas Jefferson proposed Legislative Referendum for the 1775 Virginia State Constitution. Massachusetts in 1778 had the first state-wide Legislative Referendum. New Hampshire followed in 1792. 1800’s people realized no matter the checks-and-balances, written into our Constitution, they had no direct ability to reign in out of touch and control government. 1890 Populist reform advocated women’s suffrage, secret ballots, direct election of US Senators, and I&R. Nov 5, 1898 S. Dakota became first state to adopt state-wide Initiative and Popular Referendum. Next Oregon in 1902 approved Initiative and Popular Referendum 11 to 1 margin. Currently 26 states have adapted a form of Initiative and Popular Referendum – mostly mid west and western states. Settlers leaving the east coast corrupt governments infused with corporate money incorporated greater citizen voice and control of their state and local governments with I&R into their constitutions and charters. Citizens in Birmingham and Talladega both are recorded to have used referendum in April 1911. Birmingham citizens attempted to use a referendum to ratify or reject actions of the Water Works and Sewer Board of the City of Birmingham as recent as 2001. The Mayor-Council Act of 1955, section 3.15(b) provides the provisions of I&R to their citizens. 1992 Mississippi last state to adopt state-wide Initiative. The goal of proponents continue to be ensure elected officials remain accountable to electorate.